Every day, you wonder what to cook? Discover 3 recipes daily and get cooking! Everyone makes mistakes. Especially when you’re hungry. Don’t worry though, because we got your back with our new update! You accidentally deleted one of your beloved recipes from your favorites? No problemo! We added a „recently deleted“ list that will show all deleted recipe from the last 30 days. 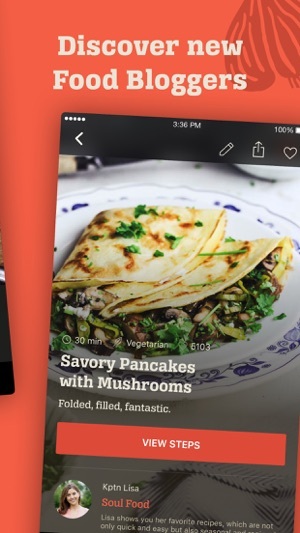 Tap on the recipes you want to restore and they will return to your favorites! 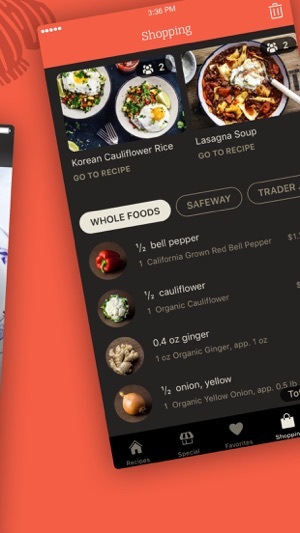 You can also move your favorite recipes from your favorites directly to the shopping cart now. Smooth, right? 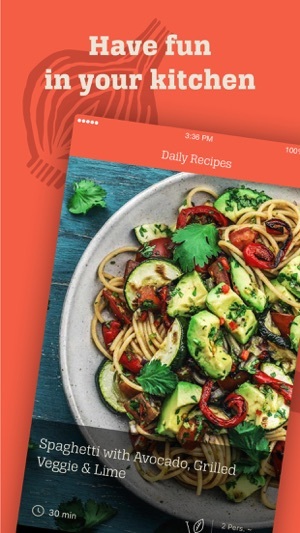 This app is a great alternative to browsing hundreds of pinterest boards and cooking blogs (no long stories about the recipe‘s author‘s life and endless scrolling to get to ingredients and prep either!). I do not mind the three daily plus three weekly recipes „only“ part at all. Anybody who does has the entirety of the www to resort to. There are a few too many „mix these three fruits for a nice smoothie“ or „here is another way to chop up the same raw veggies from two days ago and make them a salad“ things going on lately. As much as I like salad, I expected instructions that require more than julienning or dicing peppers and tomatoes and adding bits of meat. 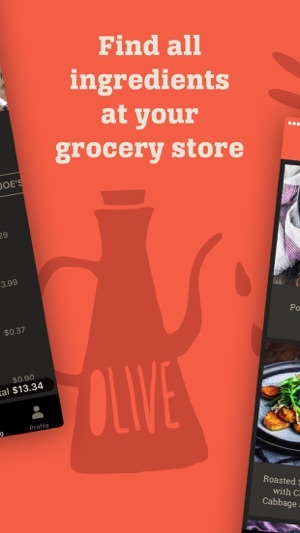 But I love the sleek design, and in all fairness have found a couple of meals to make and make even cheaper than the app said they would be. 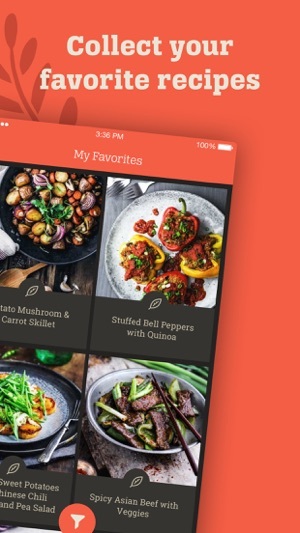 This app is great for stimulating new dinner or lunch ideas. I get bored of the things I know how to cook so fast so this is a fun way for me to keep dinnertime from seeming routine. I like to mix and match parts of the recipes to make it more to my liking or include a meat from one recipe with a salad or grain option from another. The favorites option is cool too. 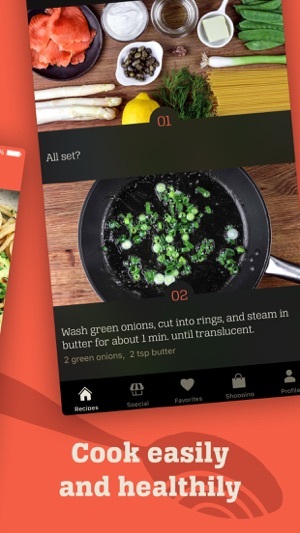 This app makes week night cook super easy and fun. The grocery break down is an easy way to compare prices and do your meal planning ahead of time.